Learning letters and numbers can be a chore, but throw them in a game and kids won't mind the learning at all! Eight is great! And your child will love practising her counting as she learns about the number eight with this fun puzzle. 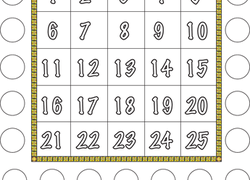 Need a fun way to practise those numbers? 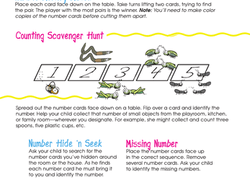 Your little one will have a great time with this puzzle all about the number 7! Five is a big year for a preschooler and a big number! Help her get practise with counting and numbers with this fun and colorful puzzle.